Photographers hoping to snap the perfect shot in front of an eye-catching sunflower field in Hamilton, Ont. are out of luck. The farm’s owner says, thanks to the crowd chaos, amateur photographers are no longer welcome this year, and may never be again. The picturesque Bogle Seeds farm on Safari Road has rows and rows of sunflowers bursting with colour. The gigantic yellow field makes an attractive backdrop for amateur photographers. So much so, that the farm was overcome with tourists vying for a photo over the weekend. Owner Barry Bogle said the farm has welcomed visitors since 1969, when it first opened. But, after a hectic weekend marked by traffic chaos, Bogle said they’ve decided to close for the rest of the year. According to the farm’s website, the Hamilton Police had to step in to close the highway and manage the traffic. 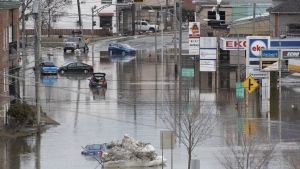 “We basically had a flash mob, only with cars, with over 7,000 cars on Highway 6, completely stopping it for four kilometres,” Bogle said. Along with the traffic headaches, the selfie seekers spoiled some of the farm’s crops by wandering deep into the field to pose among the sunflowers. 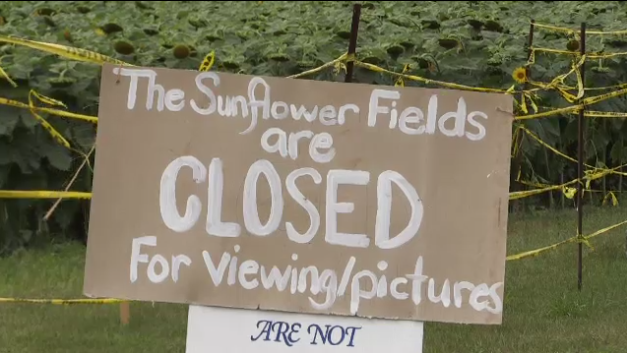 Although the farm is now closed to photographers, Bogle said it’s still open to people purchasing bird seed and other products there. The owner of Bogle Seeds farm in Hamilton, Ont. says they're closing to the public for the foreseeable future.